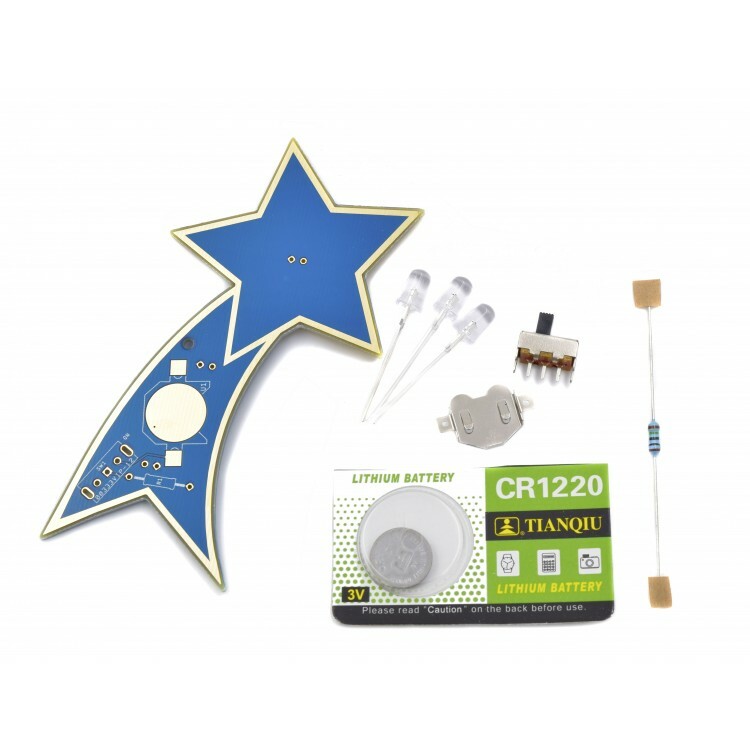 Our upgraded learn-to-solder kit, this little shooting star will give you great practice in soldering 3 LEDs, 1 battery holder, 1 resistor, and 1 switch. 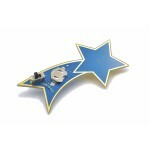 That's 15 solder spots! After you finish you can use it as an ornament or as a cool decoration or gift. 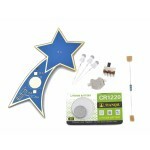 Just throw the switch and watch it light up a shooting star path! 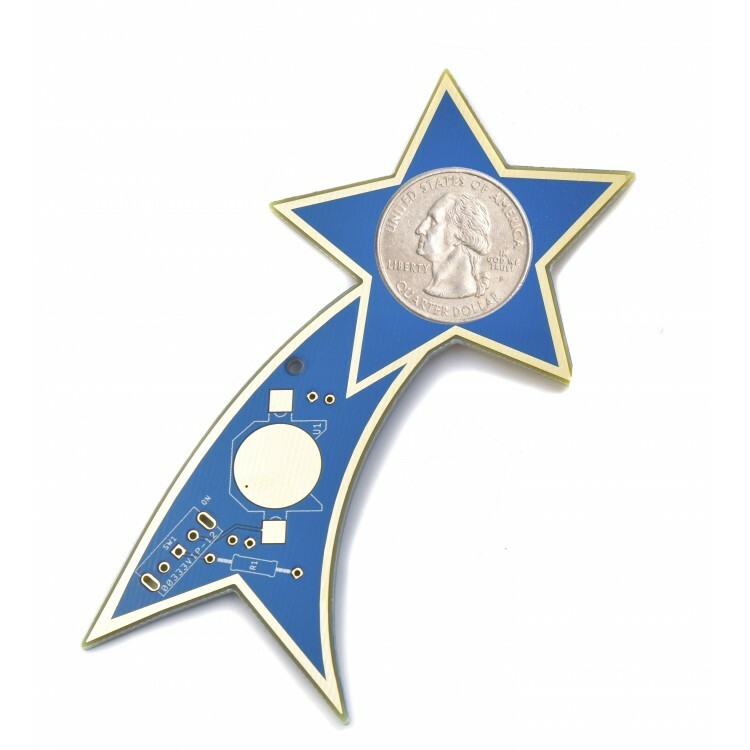 The front side of the star has ENIG (electroless nickel immersion gold) surface finish to give it a golden shine while blue PCB follows on its tail. 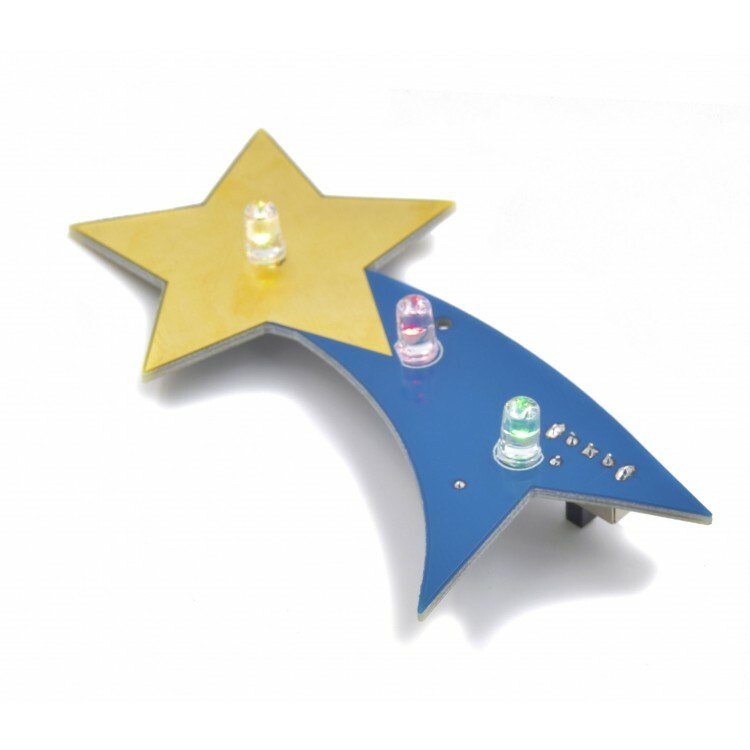 As a bonus, the back side looks equally as cool so you can also flip it over and enjoy all your soldering efforts from the back of the star. 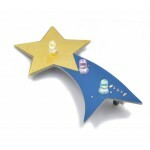 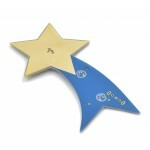 By positioning it in front of a wall or solid surface, you can watch the LEDs give a soft glow to the star's outline. 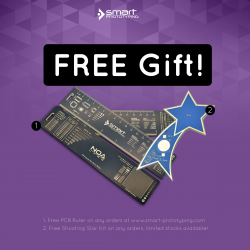 Our upgraded learn-to-solder kit, this little shooting star will give you great practice and after you finish you can watch it light up like a shooting star!